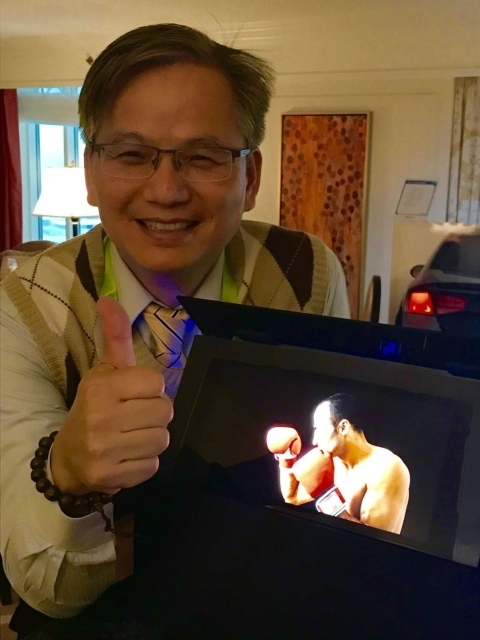 With its executive vise president, Chin-Lung Ting; and VP & GM of AII Product section, Chu-Hsiang Yang, jointly hosting presentations for the latest results of its R&D at CES 2018, a globally known trade fair for all those who thrive on the business of consumer technologies, InnoLux Corporation of Taiwan, a TFT-LCD supplier to information and consumer electronics product makers worldwide, effectively upstaged its rivals at the venue. Among the most discussed innovation unveiled by InnoLux at the venue was the AM (active matrix) mini LED panel, which has been recognized as a first-to-market product derived from the firm's brand new mini LED technology that was revealed by Ting last year. The newly developed AM miniLED panel is 10.1 inches in size, according to InnoLux, which claimed it has received orders for the product from customers involved in supply chains of world's top-three carmakers, and been in talks with more than carmakers over joint development of newer models. Ting introduced that the AM mini LED panel is driven by the AM circuit formed by a thin-film transistor (TFT) inside for maximized efficiency and performance as expected, and can be mass produced at a relatively low cost compared to that of ordinary mini LED-backlit panels. Furthermore, the trendsetting backlight panel features sharply improved local dimming performance of up to 6,720 zones, compared to only 100 to 1000 ones of competing models on market, to achieve unparalleled picture quality along with high energy efficiency. In addition to the revolutionary AM mini LED technology mentioned above, InnoLux also brought seven high-end notebook PC models to the exhibition. Yang indicated that in spite to a continued slowdown in growth of global demands for notebook PCs, mainly caused by the encroachment of smartphones and tablet PCs, the firm still looks at higher-end segments of the market with optimism and expects the newly released laptops with a unique HMI interface to satisfy end-users in need of high-end or commercial models. Among those notebook PCs, one model was notable for outstanding energy efficiency, achieved mainly through the use of the firm's ultra energy-saving 13.3-inch FHD display panel, which is made with specially engineered material and improved manufacturing process, and delivers a luminance of 150 nits while consuming only 1 watt of electricity. With the high-performance, energy-stingy display panel, the laptop model can keep running for 12 hours on a single charge, to make it possible for most people to work outside the office. Realizing that Taiwanese display panel makers have been unable to match Chinese competitors in terms of production volumes and pricing, InnoLux has turned to developing cutting-edge technologies and products as mentioned above, and exploring its niche markets, to shrewdly fend off the competition against those rivals on prices or quantities.